The Ojai Vineyard » Summer Sippers Party June 17th! Summer is right around the corner, and despite any June gloom on the coast, it’s gonna heat up in Ojai! And that means now’s the time for lively, refreshing wines to help cool us off! 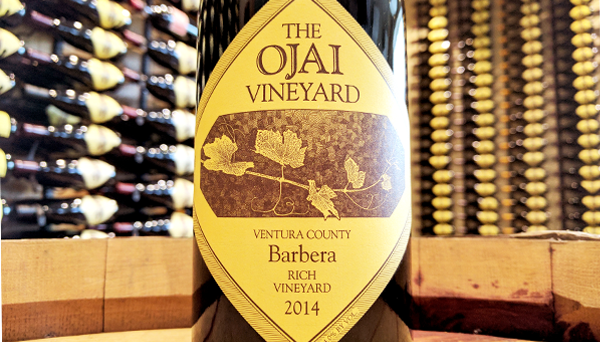 So, we’re throwing a little shin-dig on Saturday June 17th from 6 to 9pm to cast light on our best summer sippers—including our 2014 Barbera from Rich Vineyard (local to Ojai)! Click Here to Read More about the Barbera! The Jolly Oyster Food Truck will be on hand serving their own fresh farmed oysters and other delectable treats, and we will have live music to provide a little atmosphere. Come on out and enjoy the lovely weather and wine from 6 to 9pm! To help celebrate the summer solstice we’ll be offering special pricing on June 17th in our tasting room and online for this event—20% off our selection of summer sippers by the glass or by the bottle. Don’t delay These wines to move quickly!